February 4th is the midpoint between the winter solstice and the spring equinox. At this time of year it is thought that the pre-Celtic ancients of Ireland celebrated Imbolc. The festival is thought to have celebrated the birth of spring and rebirth of the land. Imbolc was one of the four cross quarterly festivals along with Bealtaine, Lughnasa, and Samhain. 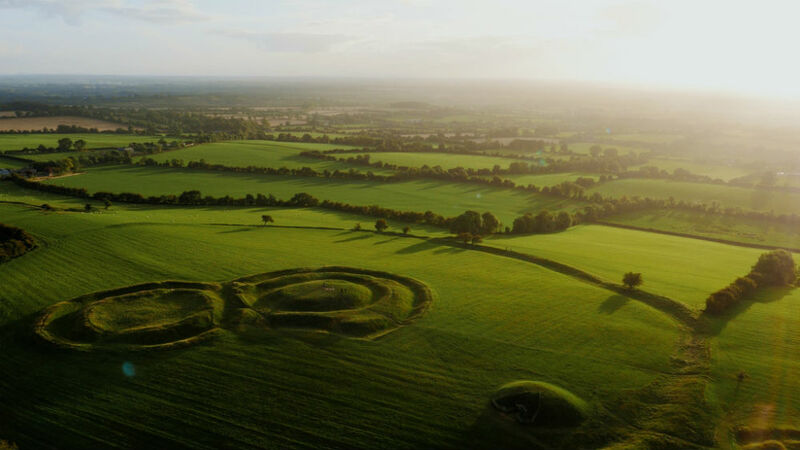 The Mound of Hostages in Tara aligns with the rising sun at this time of year and also at Samhain, demonstrating the significance of the event. Imbolc is thought to translate as “in the belly” possibly relating to the pregnancy of ewes. The time of year is also supposed to have been associated in Celtic times with the goddess Brighid or Brigh, thought to mean “most high” or “exalted one”, and perhaps represented natural regeneration and rebirth. It is thought from legend and ancient stories that a female or female deities were of significant importance in pre-Celtic Ireland said to be associated with rebirth, death and regeneration and the importance of such continued in Celtic Ireland. February 1st in Ireland is celebrated as Saint Brigid’s Day. Saint Brigid was said to have lived through the 5th and 6th centuries, born in County Louth and founding a monastery in County Kildare. Saint Brigid seems to define the link between the Pagan and Christian transition of Ireland. The story of Saint Brigid was carried by Irish monks in the 7th and 8th centuries. While much information on how the ancient festival was celebrated has been lost, there are events today which celebrate and acknowledge original traditions. In Ireland, the Slieve Bloom Association holds an event each year since 2013 reviving an old tradition, the milking of the goat. This year’s event takes place on the Sunday the 7th of February.